Taylor Williams is a Deputy District Attorney at the San Diego District Attorney’s Office. She prosecutes an array of misdemeanor crimes and has taken several cases to verdict. Taylor received her Bachelor of Criminal Justice from New Mexico State University and Juris Doctorate from California Western School of Law. 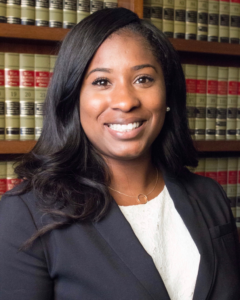 Taylor is a member of Lawyers Club of San Diego, and she serves as a coach for the Association of Business Trial Lawyers moot court competition.